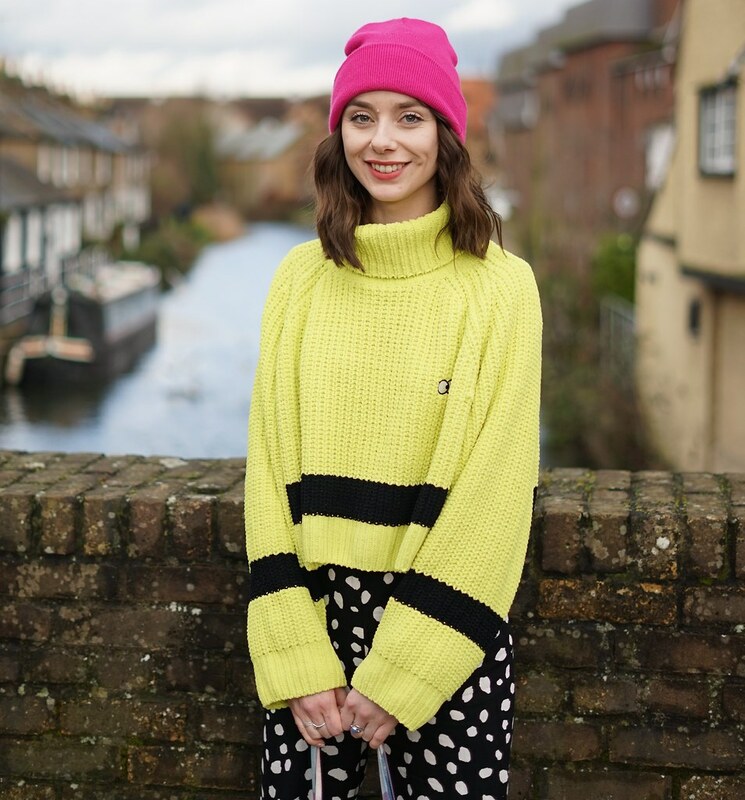 So last month whilst interning I didn't get chance to complete a bloggers of the month feature so here are a whole bunch of bloggers for you to check out to make up for it! Definitely getting to talk to like-minded people who are interested in the same thing and having an excuse for everything I buy as it's 'for the blog'! I like the same shops as everyone. I try and shop in charity shops but secretly I'm a Topshop girl through and through- love Urban Outfitters, Zara and ASOS too! What is your favourite trend for AW13? I'm definitely a Pinterest and Tumblr obsessive, I spend far too much time scrolling through there. I love art books and I'm of course, inspired by lots of fashion and street style blogs too. After reading other blogs for a couple of years I decided to take the plunge and start my own blog. I had also just decided to change paths at University and drop out in favour of applying for a more fashion based course. I figured it would be a good time to start blogging! I don't have a particular favourite but I can't wait for lots of knitwear, faux fur, tartan and embellishments. 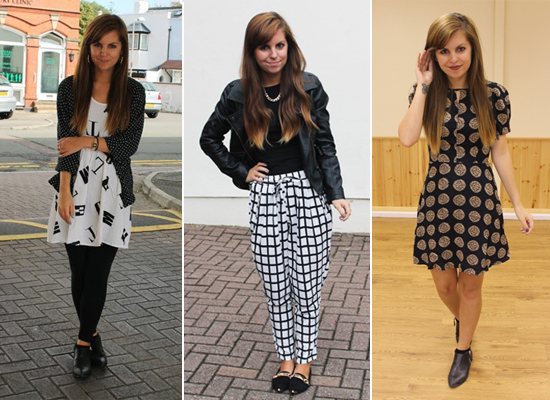 I'm also loving the co-ord set trend at the moment too! If you could raid anyone's wardrobe, whose would it be? The Olsen twins! I've been obsessed with their style for years. I wouldn't mind a rummage in Olivia Palermo's either! Mainly from other blogs but also just seeing people in the street, especially in London. I tend to pick up a lot of inspiration when I'm there. I started blogging originally because I was asked to start one at University to easily display my work and gather designs and information that influenced me. I began on Wordpress but once graduated I soon discovered Blogger and began following lots of fashion blogs so I then switched and started up a fashion based blog myself! Is there a meaning behind your blog name? The people I've met, the friends I've made, the events I've been too, the opportunities to work with some of my favourite fashion and beauty brands. There are so many amazing things about blogging! I'm so glad I started a blog many moons ago and am eternally grateful for every exciting collaboration that comes my way. I've also met some of my best friends through blogging! It's such a lovely community. After finishing university I wanted to keep creative, combining all my favourite things blogging seemed like the perfect place to start. Styling up outfits and editing the images is definitely fun, I love to be creative mixing illustrations and text on my photos. Blogging has such a great community and it’s been so nice to meet other others. I guess my style is quite girlie, but very laid back. I’ll most likely be wearing smock dresses, skinny jeans and peterpan collars. Urban Outfitters, ASOS and Topshop are normally top of the hit list but I’m always on the look out for independent shops like Olive. Probably Miss Chung's. Who doesn’t want to raid her wardrobe? I've wanted to start a blog ever since i finished University, but it never seemed to be the 'right time'. In July this year i took the plunge and set up Secrets of a PR girl. efinitely meeting other bloggers! I was so nervous at first about putting myself out there and definitely cared too much about what other people would think. But, the blogging community are so supportive and it makes you realise you're not the only person in the world to have a blog and feel like that, there are millions of like-minded people out there! That's the great thing about social media and the internet. At the moment my favourite places on the high street are Zara (for their copycat designer pieces), River Island and Topshop. Online I like Choies, Pretty Little Things and eBay. I've also just developed a new obsession with Monki after visiting the Carnaby street store last week. For anyone who hasn't been, definitely check it out! I love Miranda Kerr's style, she always looks so chic and polished even when she's wearing jeans and a blazer! I am also obsessed with Victoria Beckham and if I could raid her wardrobe i'd get to wear her collection everyday which would be amazing! I know it sounds cliche but everywhere! I love looking at other bloggers, especially UK bloggers and smaller bloggers like myself. I also get a lot of my style inspiration from Instagram and Pinterest. I could spend hours searching those sites! Hope you have found some new bloggers to take a look at! Love Kim! 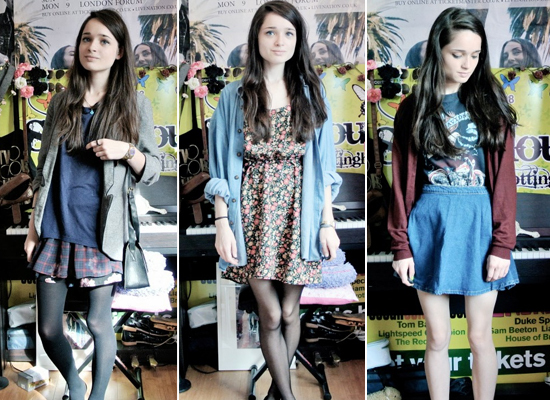 :) I also agree with lusting after Amy's wardrobe! Love this feature of yours! O h i love Tilly!